Kenyans are concerned about energy reliability. Many live off the electric grid or rely on kerosene and oil as fuel. Clean Energy Now put the need for clean and reliable energy in the spotlight during the national elections to gain government commitment on the issue. Clean Energy Now bridged a powerful urban/rural divide with offline actions and social media, learned about working with influencers and tested flexible campaign design in the face of Kenya’s fast-changing national politics. Clean Energy Now is influencing Kenya’s national political agenda by talking to voters about how clean energy can improve their lives. To do this, the campaign team creates opportunities for politicians to align themselves with public concerns and back renewable energy. A coalition of previously disparate groups has also been organised to sustain clean energy advocacy beyond the initial campaign. In late-2017, when political events took an unexpected turn, the campaign team and coalition did some nimble juggling to make the most of a difficult situation. Energy is a big concern for many Kenyans. Around 64% of people don’t have access to reliable electricity from the national grid. Solid fuels or kerosene are used instead. These dirty fuels impact people’s health and living standards as well as the economic and social development of the country as a whole. The government’s positive statements about addressing the energy gap haven’t been matched with action. Efforts lack in urgency and solutions are often regressive. So many people live off the electric grid that supply reliability is a bigger concern than source. Meanwhile, many organisations working to address energy policy, clean power sources and reliability gaps have been operating in isolation. A rider participating in the Clean Energy Now Cycling Caravan. The 2017 general election was the perfect time to tackle these problems. Clean Energy Now provided a framework through which different organisations could share information and expertise. 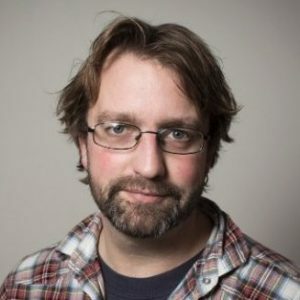 The campaign used online and offline channels to demonstrate public support for clean energy by reframing the issue so it could be seen as the solution to everyday problems caused by dirty or unreliable power sources. Led by Christian Aid and the Kenya Youth Climate Network with support from Purpose Climate Lab, the coalition concentrated its work in marginal counties where candidates would be eager to ride the wave of community concerns. 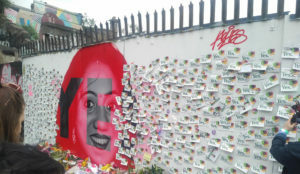 As a result, the team used the need for votes to encourage politicians to support the campaign. Both major political parties backed the campaign’s demands. Leading politicians, including President Uhuru Kenyatta, adopted campaign messages in their election communications. When the election result was quashed by Kenya’s supreme court, forcing a second election to take place, the team quickly reassessed the political context to produce a revised strategy which still delivered campaign goals. With both elections over, significant progress has been made in forcing those in power to address the energy gap faced by so many Kenyans. Now, the sustainable network of organisations built by Clean Energy Now is planning future work to improve energy access for millions of people. Organisations working on clean energy had not been able to get the issue on the national agenda. Clean Energy Now provided a clear strategy and amplified the work of its partners to bring the issue to the attention of election candidates. Many Kenyan organisations have been working on energy access for some time, although before the 2017 election the issue made limited impact on mainstream political debate. Much of their work is in local communities or on narrowly-defined topics, so getting national attention is tricky. Clean Energy Now acts as an umbrella organisation for partners, allowing their messages to reach wider audiences during the election period and influence the debate. Coalition-building is a fine art, and one in which the campaign team has had significant success. The first step was to convince potential partners the team had a viable strategy. They commissioned a poll to assess public opinion towards clean energy, discovering that 61% would back election candidates who supported clean energy. With this information, the team demonstrated there was public interest which could be transformed into political leverage in marginal counties during the election campaign. Partner organisations were able to contribute their skills across a range of specialised areas. Different organisations worked separately across related issues such as clean cooking stoves, biogas and policy. Meanwhile, the coalition shared expertise between organisations and amplified messaging so that clean energy could get on the radar of election candidates. Clean Energy Now used what it called the Cycling Caravan to reach rural audiences in parts of Kenya. 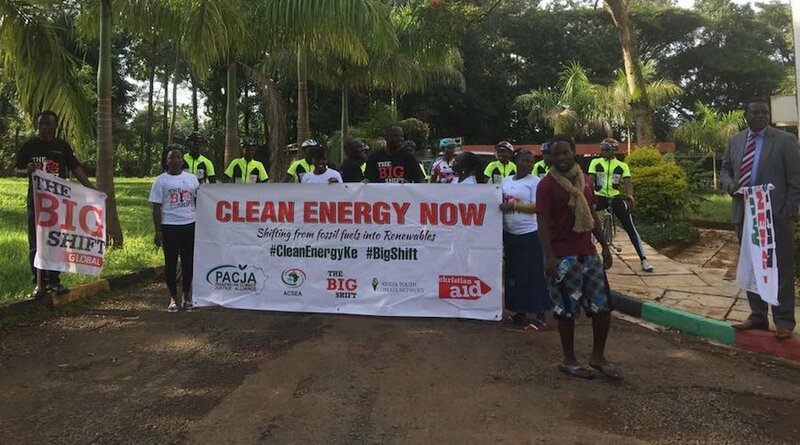 Here, cyclists and local residents walk with a Clean Energy Now banner. Online channels were suitable for urban audiences while rural communities engaged in offline events that could be shared online. The approach knitted together rural and urban communities to grow political reach of the campaign. Kenya’s unreliable electric grid wasn’t just a focus of the campaign, it also impacted how the campaign was run. With so many people off the national grid and reliant on intermittent energy sources, the team couldn’t rely on social media and other online communications to deliver messages. They planned offline events to reach people in mostly rural areas who don’t have regular internet access. The communications strategy had two strands: generating interest via social media aimed at urban audiences and offline events targeting rural communities in 10 counties around Kenya. 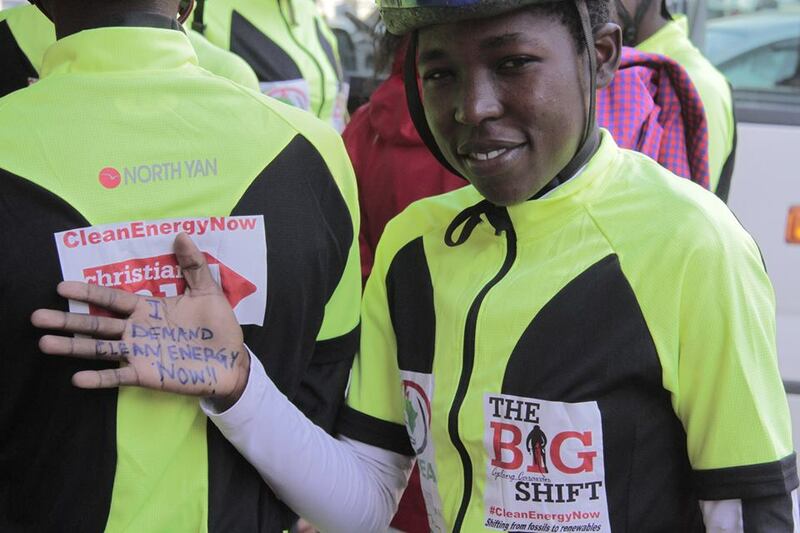 A central plank of the offline strategy was the Cycling Caravan coordinated by Kenya Youth Climate Network. Teams of volunteers in campaign branded t-shirts cycled through towns and villages to spark conversations about clean energy. Those conversations had to be tailored for different communities. Kenya has over 60 languages and a diverse range of cultures. Detailed research prepared the cycling tour, helping the team understand how to empathise with people in different regions and understand their needs in relation to energy access. Social media reached urban audiences. A Facebook page attracted over 32,000 followers. Images and videos from the Cycling Caravan were distributed via the Clean Energy Now Facebook page. Content also came from coalition partner events. This gave the campaign a diverse set of actions to share and helped fulfill their commitment to amplify partner activities. Engaging key online influencers didn’t provide the expected access access to wider audiences. But the strategy was flexible enough to incorporate powerful new ideas arising during the campaign. The campaign team sought to boost social media impact by recruiting influential users able to share campaign messages with their followers. These influencers were largely Twitter-based, such as Janet Machuka, Stanley Asembo, and Adam Maina. They were selected in part because their content centred on issues that intersected with energy access such as health and lifestyle. These influencers also use humour and have proven they can tell good stories. Influencers were introduced to the campaign through face-to-face meetings. They enthusiastically distributed a range of content, including personal to-camera messages and sharing snappy, short videos. This strand of work had mixed results. Influencers weren’t given a clear understanding of what was expected of them. The team pointed to a lack of shared experience among team members in working with social media influencers. They were also not given clear directions on the kind of content they could produce, so they were largely reliant on content coming from offline events. Mwangala recognises they were not quick enough in feeding this content to the influencers from the field, creating a bottleneck. 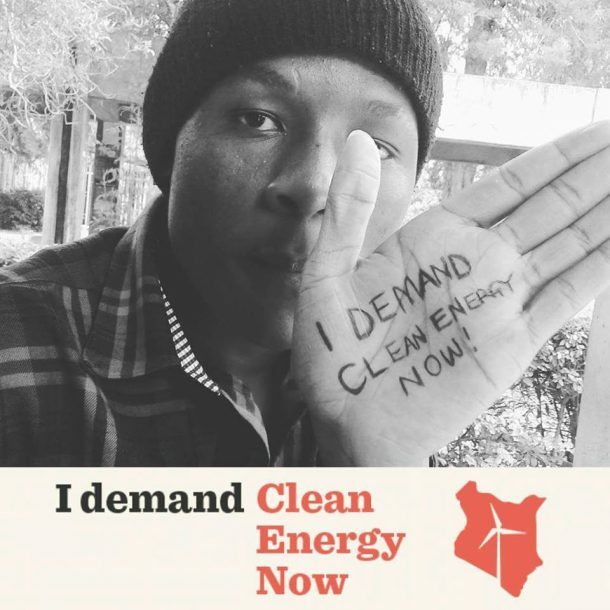 Online influencers encouraged people to write “I demand Clean Energy Now” on their hand and share it with social media networks. In contrast, online advertising proved to be a far more effective method of increasing online reach. In Kenya, advertising costs are relatively low so the team found that, compared to the influencers work, it was possible to reach greater numbers of people through these channels and recruit followers to the campaign Facebook page. One idea from the pool of influencers proved to be extremely successful. The simple act of writing ‘I want clean energy now’ on your hand and taking a photo was picked up by other social media users, spreading the campaign message. It also became a useful engagement tool for both urban and rural communities, and was so successful it helped define the look and feel of the offline work. Being responsive to ideas rising organically from campaign activities allowed the team to take advantage of this powerful messaging tool and run with it. Several national social media influencers engaged the campaign in an effort to reach new audiences. The campaign learned a great deal about working with influencers. Here are a few of the top-performing posts from Janet Machuka, Kenya Youth Climate Network and (to the right) Daniel Nyacharo. The Future of Kenya's ENERGY is CLEAN! Fast-moving political events caused problems but nimble strategy design helped turn adversity into opportunity. Planning for the future, as well as addressing immediate campaign needs, means a solid coalition is in place and ready to work together. The campaign was over when the unexpected happened: Kenya’s supreme court annulled the presidential election, claiming the results were neither transparent nor verifiable. In the run-up to a second election in November 2017, debates about potential threats to the democratic process became dominant. The risk of violent protests became very real. Just like that, another three months of campaigning opened up but, unlike the first election, there was no space to talk about issues such as clean energy. Clean Energy Now had clear goals and a robust network of organisations and activists. This allowed the team to pivot with a revised strategy that sought to take advantage of the new election. The political situation meant it was no longer possible to target election candidates or influence debates during the campaign period. The team instead started setting the stage for change after the second election. In four of the target counties, county commissioners — local-level civil servants who had been drawn into the Cycle Caravan events — were lobbied to include clean energy commitments in their local development plans. After the election, each county is required to produce a development plan. Commissioners weren’t involved in the new election, allowing the team to directly engage them without fear of being drawn into debates about the turbulent situation. 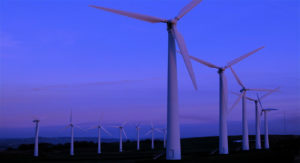 This approach led to all four counties including references to renewable energy in their plans. Some counties went even further. The team also spent the additional three months shoring up gains made preparing for the first election. By maintaining contact activists in their network, the campaign primed people for mobilisation once the second election was done and dusted. They also continued to develop the coalition, strengthening relationships between the partner organisations so climate change campaigning could continue immediately after the election. Reacting quickly allowed the team to capitalise on fast-moving events. Despite the political turbulence, they were able to lay the groundwork for phase two of the campaign which is now in development. With the coalition and activists in place, more thought is being put into how to brand the campaign. The assessment has been that, while the name explains what the campaign is about, it does not always align with the needs of those living off the national grid. The new working name is InPower, a double meaning that reflects the need to connect more of Kenya to clean and reliable electricity, and in so doing provide people with the power to improve their living standards. The campaign focus will shift from getting clean energy access on the political agenda to demonstrating the added value clean energy can bring to people’s lives. ‘What would freedom from blackouts mean to you?’ is a messaging frame being discussed, to show how reliable energy can address the problems which are important to different groups of people, such as being able to study or feel safe at night, to extend working hours, or refrigerate medicines. Showing how achieving campaign goals can address everyday problems will build on what the team learned during the initial phase and be a central component of future work. The team has also laid the foundations for an energy and climate campaign network, whose members can collaborate on future projects. Learn more with the Clean Energy Now case study prepared by Purpose Climate Lab. Want to keep up on Clean Energy Now? Follow the campaign on Facebook.